Join the Italian and Italian Studies Department for their fifth movie in their Film series. Mine Vaganti (Loose Cannons) – by Özpetek, 2010. Tommaso is the youngest son of the Cantones, a large, traditional southern Italian family operating a pasta-making business since the 1960s. 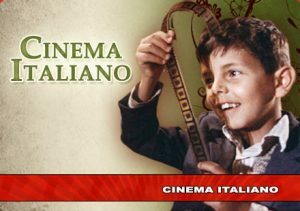 On a trip home from Rome, where he studies literature and lives with his boyfriend, Tommaso decides to tell his parents the truth about himself. But when he is finally ready to come out in front of the entire family, his older brother Antonio ruins his plans.